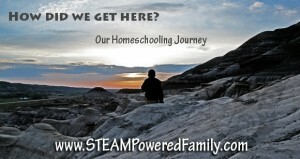 Homeschooling is not something we thought we would ever do. In fact, I fully expected to return to a life as a career woman. I loved working and the challenges of my former profession. I missed work. And up until earlier this year I was counting down the days until both my children would be in school full time and I could return to work. Except school wasn’t working. It started almost three years ago, when Jackson was in grade 1. He was bullied. What started with a boy that loved school in September, became a little boy who would sob and cry and beg not to go to school in October. This anxiety never did go away. A year later we started him in therapy. Preston, who we adopted from Ethiopia at a year old, came to us with severe developmental trauma disorder and PTSD. At this point we had been in therapy with him for almost three years. So we started Jackson in therapy at the same animal-assisted ranch. In a matter of months our therapist advised that he was uncommonly smart, and was understanding the world in a way that he simply was not emotionally ready for. Jackson also needed more academic challenges. Every parent thinks their kid is smart and brilliant, but we suddenly learned that when your child is gifted, which is a specific term referring to highly achieving, it comes with a very unique set of challenges. On top of this, Jackson is a 2e kid, which means Twice Exceptional. He has special needs (anxiety and dysgraphia) on top of being high achieving. When Jackson was going into grade 3 and Preston was starting Kindergarten we decided to try a half-time homeschool, half time school set up. This lasted a little over six months. Finally, in March of this year we pulled both boys. Jackson was not improving with the half time set up, and in fact was struggling even more in an environment not suited to his learning needs. And it became glaringly apparent that our local school was simply not trained or equipped to deal with a child suffering from developmental trauma. After some miraculous advances over five years of therapy, the school environment was causing Preston to regress and become re-traumatized. I was at the school constantly, acting as aide, volunteer, advocate. At home we were in a constant state of intense therapeutic parenting. Yet, we were losing the battle. I’d spent years trying to make school work. 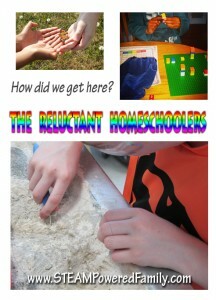 We were the most reluctant homeschoolers ever, but when the box doesn’t fit, you need to change the box, not break your kids. I called on the support of some friends that homeschooled, and after years of struggling, we took the leap into homeschooling. We pulled both boys from school and within a month our lives were completely different. I was actually spending less time homeschooling than I did trying to make school work for my kids. The boys were happier, more content, and with time and lots of work, started to love learning again. We are still in the very early stages of his homeschooling journey. The 2015/2016 school year will be our first year of full time homeschooling. My biggest challenge in homeschooling is that I have special needs children with very different needs. I have two children who were assessed and placed on opposing ends of the spectrum. We have anxiety issues, trauma, sensory struggles, but we also have a love for adventure and a curiosity that just won’t quit. I hope you enjoy following our journey! I can’t wait to read more! Your story is beautiful, and I’m sure it’s also frequently a struggle. It sounds like you’re diving right in. I can’t wait to keep reading! Please update! I would love to know how your boys are doing and if it’s as stressful as I’m thinking it would be!!! !